When it comes to testing for heart disease, there seems to be an endless array of tests to which a patient with symptoms can be subjected. Last year in this publication, we focused on how physicians assess patients WITHOUT symptoms to determine if they harbor coronary artery disease. 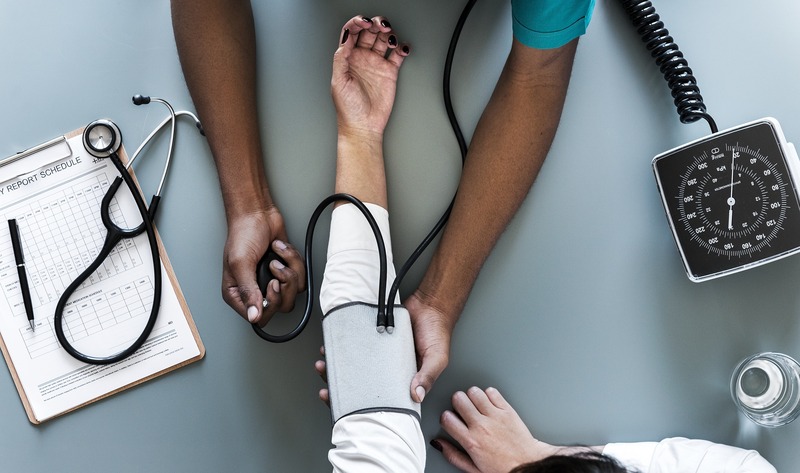 In this article, we will address testing for patients WITH symptoms and how these tests differ from one another. ECG first step: The first step your doctor usually performs is an ECG, which is a simple evaluation of the heart structure and function based on the electrical activity of the heart picked up by 12 sticker “leads” placed on the skin. It is indeed a rather “crude” screening test: an ECG that is abnormal does not necessarily signify a problem with the heart, nor does a normal ECG eliminate the possibility of a heart problem. Nevertheless, it is simple to perform and a “first-step” tool to help your doctor increase or decrease his/her suspicion that your symptom is or is not related to your heart. Cardiac catheterization: At the other end of the spectrum, the most definitive test for clogged arteries is a cardiac catheterization. In this procedure, dye is injected into the arteries of the heart via a small tube inserted through an artery in the groin or wrist. This is the definitive (or “gold standard”) procedure for determining if a patient’s symptom is indeed caused by a blockage in a heart artery. However, this test is invasive and therefore carries the risk associated with invasive procedure and the dye used in the test can cause kidney problems for patients who are at risk for kidney disease. Moreover, in New York State, it must be performed in the hospital, and thus it is inconvenient and expensive. For these reasons, cardiac catheterization is reserved for patients whose symptoms and medical history make it highly likely that they have a blocked artery. Exercise stress: Testing used to examine for abnormal blood flow to the heart muscle involves some form of stress testing. The most basic of these tests is a “regular” exercise stress test in which a patient is placed on a treadmill while attached to an ECG machine. The treadmill increases in speed and incline every three minutes, and evidence of lack of blood flow (presumably from a blocked artery) is suspected based on changes in the ECG during exercise or development of symptoms during exercise. The benefit of this type of test is that it is fairly simple to perform; however, it does require that a patient be able to exercise and that his/her ECG is normal prior to the test. Stress echocardiogram: A more sensitive and specific way to perform stress testing is to combine the stress test with pictures of the heart. One way to obtain these pictures is to use ultrasound immediately after the stress test to assess the movement of the heart (abnormal movement is indicative of a blockage in an artery). This type of testing is known as a “Stress Echocardiogram”; its benefits are that it is easy to perform, adds important information to a stress test, and does not involve any radiation. The drawback, however, is that it still requires that a patient be able to exercise. It also does not perform well with heavier patients where the extra weight interferes with the ability to obtain good images of the heart using ultrasound. Nuclear stress: The second type of stress testing in which pictures are taken to assess for blood flow is nuclear stress testing. In a nuclear stress test, a patient performs an exercise stress test, but at the peak of the exercise, the patient is injected with a tiny amount of radioactive “dye.” This dye then flows to the heart muscle through the arteries supplying the heart with blood. Pictures of the heart are then obtained showing where and how much of the dye has made it to the heart muscle. Areas where there is little or no radioactivity can be assumed to be supplied by a blood vessel which is clogged. Nuclear stress tests can also be performed WITHOUT exercise by using a medication to “stress” the patient. (An important misconception made by patients is that the “stress medication” is actually stressing the body in the way that exercise does with increased heart rate and blood pressure. In reality, these medications just cause dilatation of the blood vessels of the heart and are not truly a “stress” on the body, yet the accuracy of the test is the same as if the patient had exercised.) The benefits of nuclear stress testing are both that it adds important information to stress tests and also that it is easy to perform in patients who cannot exercise. The drawbacks are that it does involve a small dose of radiation and it takes several hours of time to complete the test. PET scan: A more advanced form of nuclear stress testing is called a Positron Emission Test (PET) scan. In a PET scan, the patient is given a medication to “stress” them and a different type of radioactive “dye” is used to assess blood flow. PET scans use LESS radiation than traditional nuclear stress tests but create better images because of the type of radioactive dye and camera utilized. A PET scan is rather fast and the test usually takes less than one hour to complete. The PET scan performs particularly well with obese patients because of the quality of the images from the advanced camera and type of radioactive dye. The drawback of a PET scan is that it is more expensive than a traditional nuclear stress test and does involve radiation (though less than traditional nuclear stress testing). Coronary CTA: The other type of evaluation for blockage is a test that looks at the arteries themselves to directly assess the degree of blockage. The “gold standard” cardiac catheterization does this, but so does a non-invasive, advanced CT scan known as a Coronary CT Angiogram (coronary CTA). In this type of test, dye is injected through an IV during a CT scan to display the arteries and degree of blockage. This type of test is best suited for a patient who has symptoms that could potentially be cardiac in origin, but the suspicion for actual coronary disease as a cause of the symptoms is still low. The benefits of the CT angiogram are that it is fast, easy to perform, does not involve any exercise, and displays if there is ANY coronary artery disease (not just if there are “clogged” arteries as stress tests do). The drawbacks are that it does involve use of CT scan dye (which can injure the kidneys in patients with abnormal kidney function) and it also involves a small dose of radiation. *Dr. Sullenberger is a physician with Capital Cardiology Associates, capitalcardiology.com. Each day in labs across the country and globally, researchers are working to advance treatment for cancer. And every day in health care offices and hospitals, patients receive care from the implementation of research. We talked with two physicians from New York Oncology/Hematology about improvements in devices and therapies, and they’re looking forward to continued improvements in the years ahead to aid in the care and treatment of patients with cancer. Justin Juliano, MD, board-certified in radiation oncology, notes that cancer patients receive a multi-modal approach to treatment that may include such measures as surveillance, medicine, and radiation – all complementary roles. Since beginning practice in the field, Dr. Juliano has found that “advances have been revolutionary” with the transformation of equipment. The fundamental tenet, he explains, is to maximize the dose of radiation to the affected area while minimizing the impact on the surrounding structures in the body. With the steady advances in equipment, a physicians’ ability to provide an escalated dose to localized areas with more exacting control is improved. Three-dimensional planning software also has been introduced, allowing for a diagnostic mapping to address problem areas, with sophisticated delivery techniques. There’s also opportunity, before turning on the beam, for the physician to do a CAT scan to visualize the area and then make any needed subtle changes in the treatment for precise alignment. The image is monitored during the process and can be adjusted along the way. For example, a patient with a lung tumor may not be a candidate for surgery but the tumor could be eradicated with a targeted blade of radiation. As we age, the risk of developing cancer is greater and other illnesses may be present. In some cases, surgery may not be an option, but radiation treatment might be possible, with few side effects. Dr. Juliano explains to patients how the role of radiation is used at different facets and, with the advances in equipment, has become increasingly important. “It is equally important,” he says, to describe the dramatic improvements designed for patients’ safety and effectiveness. Oncology treatment is experiencing growth and change, comments Karen Tedesco, MD. who is board-certified in hematology, the study of the cause, prognosis, treatment, and prevention of diseases related to blood. Advances in this field, she observes, “are exciting for the patient” and provide another point of light in treatment. In early testing, advances now allow review of several genes at one time. The whole person is at risk, Dr. Tedesco notes, and this genetic testing facilitates a treatment plan and monitoring. Targeted drug therapy is another area where treatment has advanced. Abnormality of certain cells can be targeted for treatment; in some cases, this may avoid chemotherapy and side effects. She says that advances include immunotherapy, specifically, “T cell” treatment, in which a patient’s own white blood cells (T cells) are reprogrammed to attack tumors. It’s a custom-made targeted therapy. This new approach of stimulating the patient’s own immune system with genetic re-engineering and re-infusing the patient’s blood to fight off cancer is very personalized, Dr. Tedesco notes. Among uses, this therapy has been used in certain cases of leukemia, lymphoma and multiple myeloma. The American Society of Clinical Oncology has named immunotherapy as a 2018 advance of the year. Film in a camera. Now, there’s a blast from the past! Remember the anticipation of getting the photos back from processing to see what you’d captured? As you may have experienced, dental professionals have moved on from the film era, too. Digitized X-rays have become a familiar process in many dental offices. Here, an electronic sensor or phosphor plate is placed in the mouth and the image is relayed to a computer where the images can be seen. This method is better suited to saving the pictures and comparing what’s going on in your mouth with X-rays in the past or future. The process takes less time than the film processing method and considerably less radiation is used since the sensor is more sensitive. Digitized X-rays result in more enhanced images – all the better to spot problems earlier or see placement situations. For those with more complex situations, advances in technology have produced the dental cone beam computed tomography (CT). The arm of this non-invasive large piece of equipment rotates around the head, and in this single scan captures multiple images from different angles of a patient’s teeth, soft tissues, nerve pathways and bone. This collection of pictures comes together into a three-dimensional image. The rotation is done in less than a minute. It’s a big leap forward in technology, providing valuable and more extensive information for the dentist/oral surgeon in treatment planning for certain orthodontic concerns such as those involving bone loss or bone structure, reconstructive surgery or implant placements. Do you have memories of getting braces?Or better yet, the day you finally could get them taken off? Gerald Benjamin, DDS, ofSaratoga Springs cites the development of a big step forward for this type of teeth adjustment clear aligner orthodontic devices that are a transparent, plastic form of dental braces. In addition to being nearly invisible, the appliance is removable—something that can make the patient smile. There also have been improvements in the strength of materials, such as lithium disilicate, for caps, crowns or other restorations, which can be cemented or adhesively bonded. In addition, Dr. Benjamin identifies the use of digital technology, including video and photography, as valuable elements for the dental professional in planning work to be done and enhancing understanding for the patient. Now sit back in the dental chair for your periodic exam. It’s time for your checkup for oral cancer or other abnormalities of the mouth. There’s something new here, too. In conjunction with the usual head and neck exam, your dentist may use a VELscope handpiece, which emits a special blue light to detect problems. That light excites the oral tissue, enabling the dentist to see fluorescence response and look for abnormal response and unhealthy tissue that may not be as visible to the naked eye. Other developments used in some dental practices include CAD/CAM technology. That’s short for computer assisted design and computer assisted manufacture and it is used when making crowns or bridges. Rather than making a mold that is given to a dental lab, a picture is taken with a computer of the tooth that has been drilled to prepare for the new devices that will be fixed in place in the patient’s mouth. The machine then uses that computerized image to make the crown or bridge. Patient understanding of procedures and objectives is, of course, key to work with the dental professional. Some dentists who perform restorative and esthetic dentistry are using intraoral mockup techniques. Perhaps some teeth need to be lengthened, shortened or moved to reconstruct the look and fit of the teeth. Going beyond a picture is worth a thousand words, the mockup shows the patient how the planned results will look on him or her. A temporary composite resin is applied, without bonding material, to demonstrate what is planned. It provides a great opportunity for discussion in this pre-procedure point. 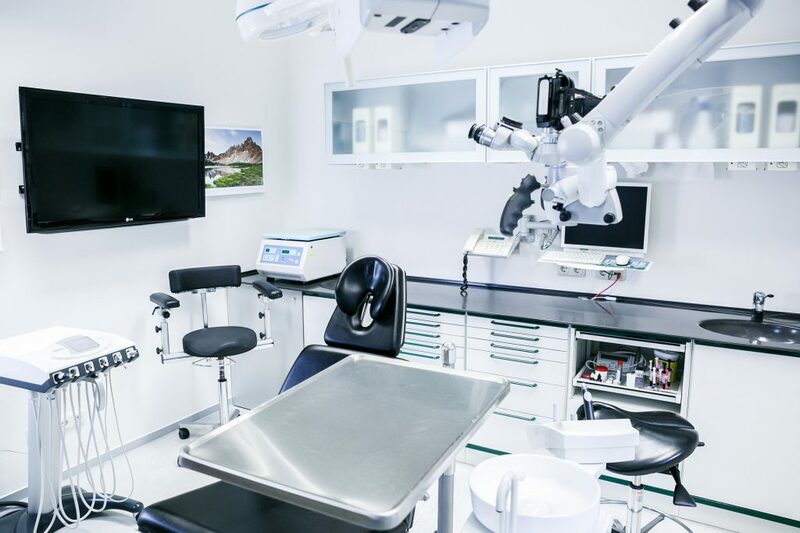 This is just a sampling of the technological developments now in the hands of the dental professional to use in appropriate cases to promote prevention as much as possible and to enhance effectiveness and efficiency of procedures and the patient’s experience. We went out to some of our area’s “Bestie” veterinarians for two questions about the detection and latest developments in treatments to bring our many pet-loving readers the answers to these sobering inquiries. One such treatment for melanoma in dogs can be read at petcancervaccine.com/vaccine. As a melanoma survivor, I was stunned to hear what prevailing cancer this is in dogs. 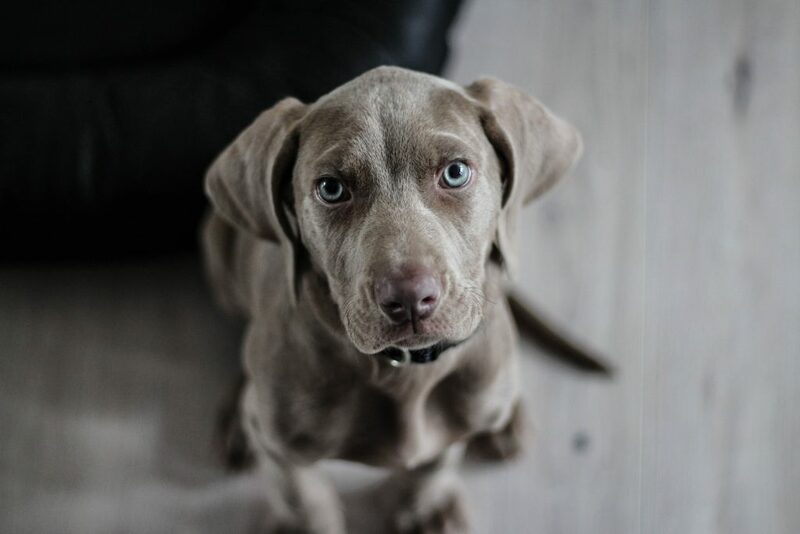 Merial, a leading animal health company and producer of many vaccines used today, indicates that canine melanoma is the most common malignant tumor found in the mouth. It also is seen on the skin and in the nail bed and footpad and is the most common neoplasm or growth on tissue, of the dog’s eye. All cases of oral melanoma should be considered malignant and potentially fatal, regardless of the lab results. Melanoma tumors of the mouth can grow rapidly and quickly spread to lymph nodes, liver, lungs, and kidneys. Dr. Casler mentions that, as with Merial, Royal Canin Genetic Health Analysis identifies breed predisposition through the use of DNA. Using the latest science, this test scans your dog’s DNA, both for ancestry information and specific genetic markers. Your veterinarian can use this information to create a custom health and wellness plan based on your dog’s genetic code. Certain cancers such as lymphoma and hemangiosarcoma are suspected in breeds like Golden Retrievers and Labs. DNA testing can provide clues to whether or not your dog includes these breeds in their DNA, thus helping to identify the cancer risks. Casler believes that a breakthrough product like Sentinel Biomedical Cadet Urine tests for bladder cancer in predisposition breeds like Westies and Scotties also is very effective. Like humans, dogs and cats have DNA markers and the more we learn through recent advancements, the better the identification is for our pets. “When cancer is suspected, diagnostic imaging including X-ray, ultrasound, CT, and MRI needs to be completed promptly,” Dr. Mike notes. Once the diagnosis is made, treatments include surgery, stereotactic radiosurgery, conventional radiation therapy, chemotherapy, and palliative care. There are times when pet owners opt for no treatment when, like adults, there just isn’t a cure in sight and being home and comfortable with their loving families is the kindest way to end our furry loved one’s life.